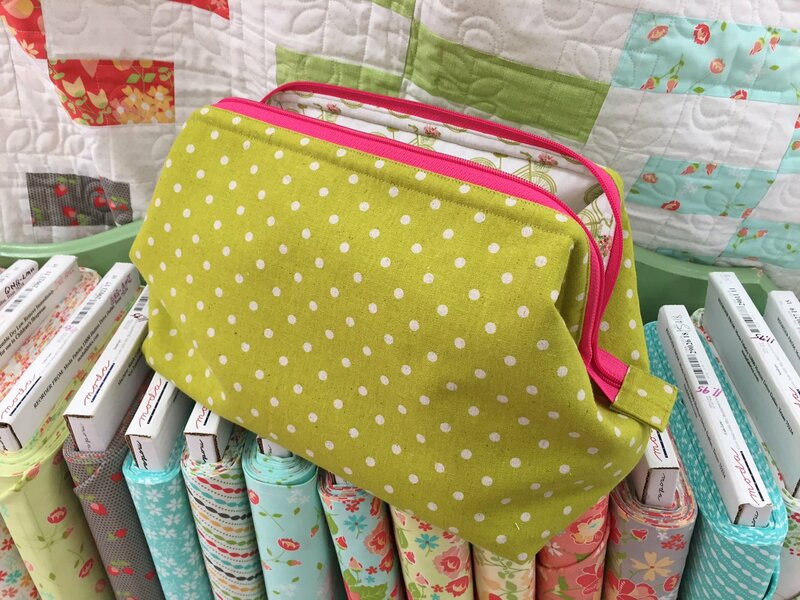 A make-up bag, sewing bag, swap bag, or just a bag for any sewing retreat. The frame on this bag pops open and STAYS open until you purposely close it, making the bag both handy and professional looking. Make either the large bag or small bag. Price includes the cost of the wire frame and the pattern. Please bring your lunch. Skill Details: All skill levels. Materials Included: Price of class includes the wire frame and pattern.